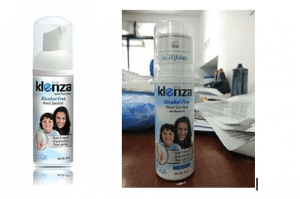 Klenza is not a regular hand sanitizer and guarantees 3 hours of continuous germ protection! 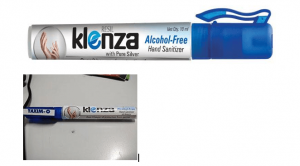 Klenza is India’s first and only alcohol-free hand sanitizer with unique silver technology protection that keeps you 99.999% germ free for over 3 hours from the time of application. The conventional sanitizers are based on alcohol and their effectiveness wears off the moment you touch anything whereas ours is composed of natural ingredients which is gentle on all types of skin. 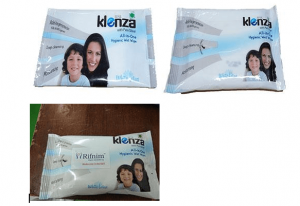 Klenza is safe even for 3+ years kids and is available in 5 different choices. ensures quantity of application is small compared to gel variants. Nontoxic, non-inflammable, a green product that does not use any harsh ingredients like alcohol, triclosan, paraben etc. Smoother due to foam-based application with Cool Cologne fragrance with MRP of Rs.198 with over 250 applications. A pure silver-based formulation that is tested as per international standards to give you 99.999% germ protection. Please also check the branding done on the product and outer box as shown below. ensures quantity of application is small compared to gel variants. Nontoxic, non-inflammable, a green product that does not use any harsh ingredients like alcohol, triclosan, paraben etc. Smoother due to foam-based application with Cool Cologne fragrance with MRP of Rs.90 with over 120 applications. Exceptionally gentle on all skin types and safe for even kids 3+ years. The natural goodness of silver protects hands for 3 hours post application unlike conventional sanitizers that fail when you touch something again. Please check the logo branding done on the neck as shown below. with Cool Cologne fragrance with MRP of Rs.45 with over 75 applications. A pure silver-based formulation that is tested as per international standards to give you 99.999% germ protection. The natural goodness of silver protects hands for 3 hours post application unlike conventional sanitizers that fail when you touch something again. Your logo branding can be done on the cap as shown below. White Lotus fragrance with MRP of Rs. 6 & Rs.55 in pack of 1 & 10s respectively for superior germ protection for continuous 3 hours, non-toxic and non-inflammable, safe on skin with choice of foam pump, spray and wet wipes. Sticker with your logo branding can be put on the outer cover as shown below. Please do get in touch with us for more such innovative products with your logo branding for your promotional activities.